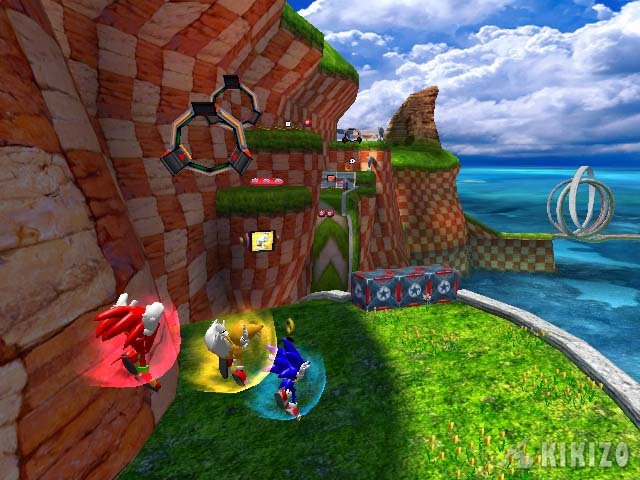 Sonic Heroes is going to come as a bit of a surprise to some gamers, because for the first time in recent memory, a Sonic title is daring to do something new with the familiar speedy platform formula - and it has the potential to work amazingly well. You control Sonic, Knuckles and Tails simultaneously, with the heroes often speeding along side by side - although one character is always under 'primary' control. As far as we know, the characters never split up and leave each other. This much was pretty obvious from the original announcement - but how well does it actually work? "You can toggle between which character is under your direct control... sometimes, the switch is automatic." For starters, each of the three characters has their own special abilities, which Sonic fans will be familiar with. 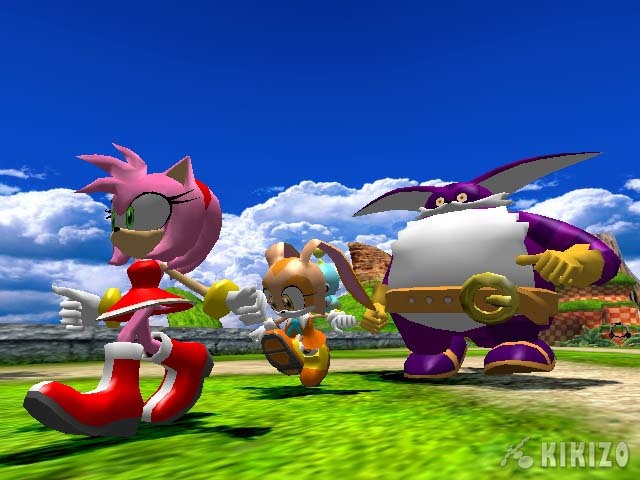 The difference in Sonic Heroes is that, since all three characters are always together, they combine their abilities in different ways, depending on which character is under your direct control at that point in time. As three characters are involved in any special ability, it is easy to see how Sega are claiming you control 'all three characters at once'. You can toggle between which character is under your direct control by hitting the X button, although at some points in the game, the characters switch automatically if there's an obstacle approaching that's best suited for one character to tackle. Sonic's advantage is obviously speed. When he's the main player, you'll find the action is at its fastest - miraculously, the two characters following you also pick up speed when Sonic is in control - perhaps because Knuckles and Tails fall into Sonic's slipstream, to become more aerodynamic. Or perhaps, because Sonic Team said so. "Awesomely, Knuckles can pick up Sonic and Tails, and literally throw them to form a two-speedball homing attack!" 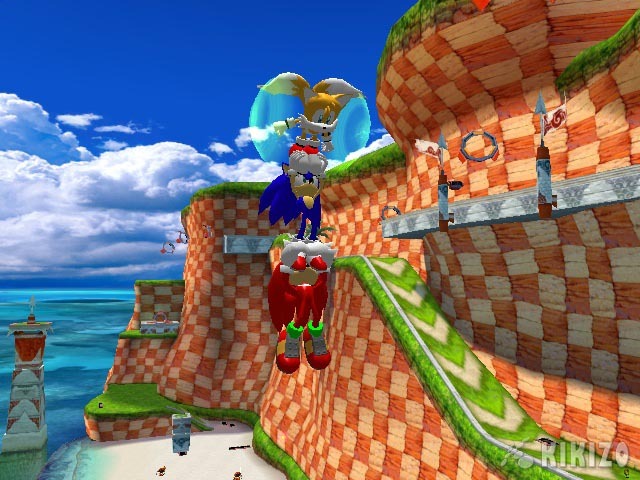 Knuckles has the ability to glide, but this time what happens is that Sonic and Tails glide with him, as the three characters join hands in a skydiving formation. Awesomely, when Knuckles is in control, he can pick up Sonic and Tails, and literally throw them both simultaneously, to form a two-speedball homing attack against enemies! He can also do this in mid-air, after jumping - which will no doubt come in useful at several stages during the game. Tails, meanwhile, has the ability to fly once again, - and you guessed it - automatically he carries the other two with him. Tails also has a homing attack similar to Knuckles - except when he throws Sonic and Tails, it's a longer range attack, and they both come back like two boomerangs. On GameCube, the B button is used for actions such as homing attacks, and the A button is to jump. And the choice between which primary character is under your control is not just a gimmick; there are many areas of each level that are only accessible if you use all the characters properly. 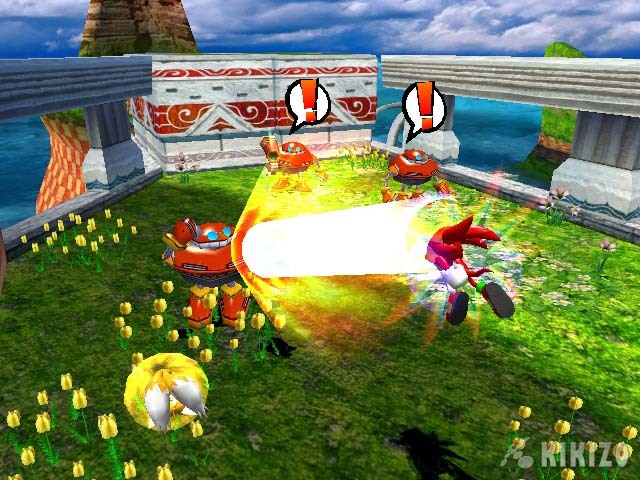 For example, some areas may be behind a solid rock-type surface that only Knuckles can destruct, while others are so high that only Tails can fly the three heroes up there. It is much, much better than in 16-BIT Sonic 2, where Tails merely 'followed' Sonic pointlessly, often dying, due to massive lack of intelligence. Besides - when the two characters are 'following' they're usually side-by-side, which obviously works much better in 3D. "Important areas may be behind a solid rock-type surface that only Knuckles can destruct." A particularly cool element in the levels is when familiar structures - such as a loop-de-loop or what would normally be a 'speed arrow' that hurtles you forward, are now split into, or multiplied by three deliberately, to set all three characters neatly on their way at the speed of sound! 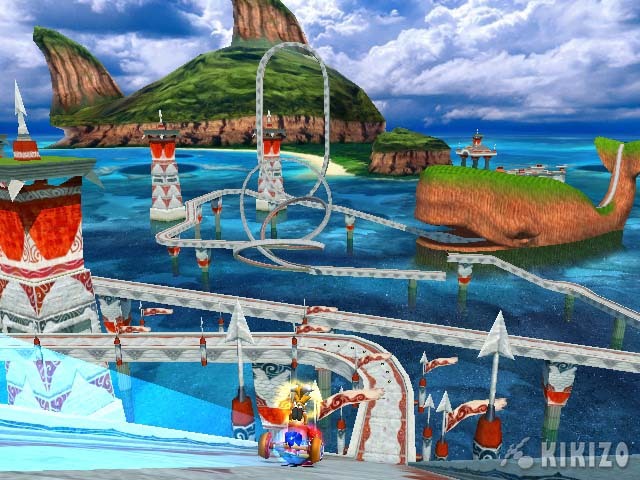 At one stage there is even a rocket-powered racing kart, with Knuckles at the front to bust through things, Sonic at the back spinning as the wheels, and Tails flying overhead for air-lift support! As you can tell, the three characters are glued to each other all the time. But if you're worried that it sounds like it just doesn't work well, fear not. There is a point to this. And the point is that - as far as we can tell from the early state the game is in - the action is amazingly fluent, fast and seamless. 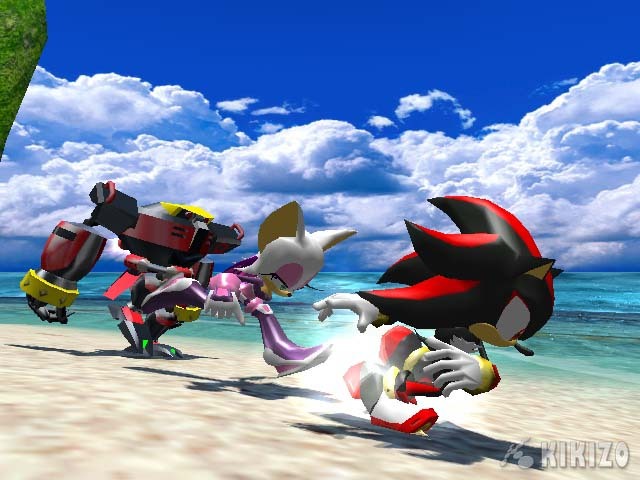 The three key abilities (jump attack, gliding, flying) are all executed as a 'double jump' like in previous Sonic games, but with all three characters efficiently tagging along in one way or another, it means the game has to move FAST. 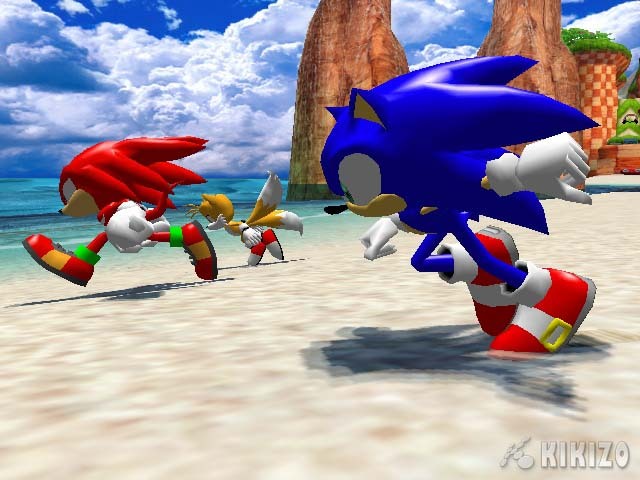 In Sonic Adventure - and particularly in SA2, we found the way the game played with the other characters on offer was a refreshing and essential addition to the game played just as Sonic. The other characters were very different, and in Sonic Heroes the Sonic Team have really capitalised on this value. 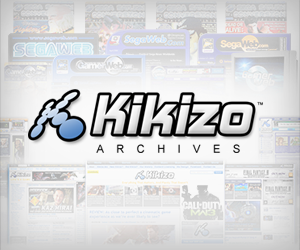 "The action is amazingly fluent, fast and seamless... the draw distance is impressive." So what about the levels themselves? Based on the level we played, the first level in the game - it is clear that Sega are not exaggerating when they told us that levels are many times bigger than your average Sonic Adventure 2 level. They are huge - but at the same time, quite varied, within one level. We counted two or three individually recognisable themes in this first level - it starts off very Green Hill / Emerald Hill themed, with that scenic beach island style, with the familiar springs, sand, waterfalls and trees. But before long, the appearance of the level has developed into a bit more of a castle-style environment, with waving flags, bridges, and cool-looking castle architecture. 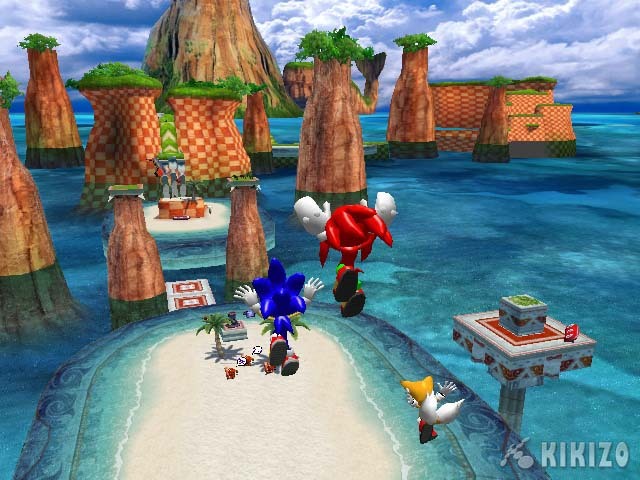 The ability to control the view works very well and you will seldom encounter the kind of perspective problems found in Sonic Adventure. You can zoom in, pan etc., or just let the camera do its thing. 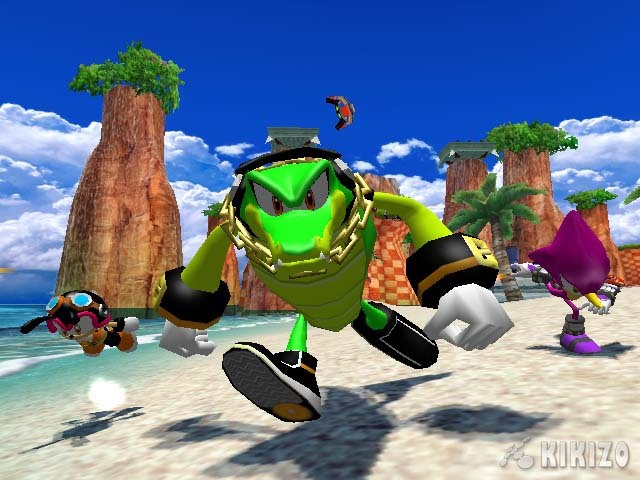 The gameplay is considerably different to Sonic Adventure - not only is the action a lot more fluent, in some way I'd describe it as almost artistic, since the three characters are constantly engaging in acrobatic stunts to perform their abilities in unison - in the air, on the ground - it's certainly a joy to watch. And, after a few seconds of working out the controls, you will find it's extremely accessible to start playing as well. 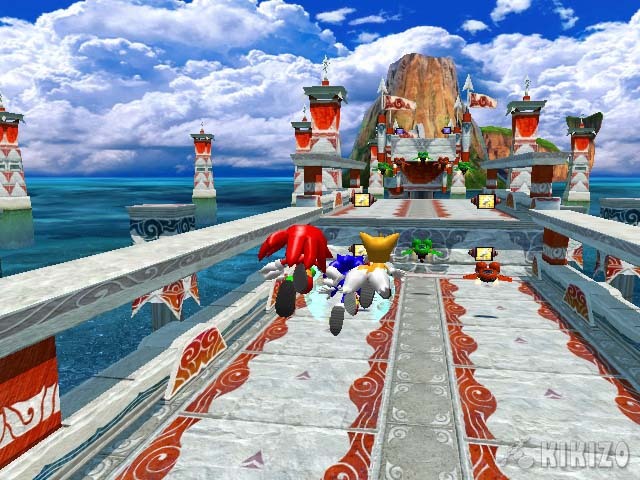 Graphically, Sonic Heroes is beautiful. The game is so fast that some kind of technical compromise would have been understandable - but there are no such compromises. The 3D graphics are very solid and tangible, and the frame rate never drops below sixty even when there's loads happening on screen. The draw distance is impressive, and the texture and polygonal detail is beautiful - many blades of grass and flowers are drawn in 3D individually. The water deserves a special mention - if you remember how lacklustre the water looked in Adventure, you'll be pleased to know that it looks immaculate here. Generally we're talking very high quality visuals. "The success Sonic Heroes depends on how well subsequent level designs encourage the use of the new co-operative play style." Yuji Naka and the Sonic Team will definitely be onto a winner with Sonic Heroes, but ultimately the success of the game depends on how well the subsequent levels are designed, what new structures and obstacles they present, and how they encourage the development of this new co-operative play style, which has a lot of potential beyond the basic introductory play in the first level. There will need to be a good balance of on-rails action, combined with more free-roaming play, even if the speed is reduced a little. If this is done right - and we have a lot of confidence that it will be - then it can't fail to be a commercial success, since it's the first ever Sonic game to be released on all three major platforms. Stay tuned for more on Sonic Heroes, a Sega title that is definitely going to please fans whilst demonstrating to more critical gamers that Sonic's got something original, and possibly even more enjoyable to offer than before. Watch out for a detailed interview with Yuji Naka next week, as we quiz him on Sonic Heroes and Billy Hatcher.